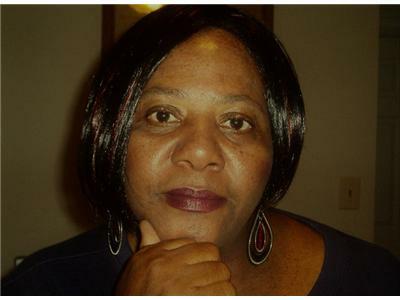 Welcome to "The Raw Faith Talk Show"
If you liked this show, you should follow Sisterhoods Connections Radio. We would like to Invite you to The Raw Faith Talk Show. On our Last Episode you Met our Host ( Keesha) and Her Co-host (Elizabeth Chalker). 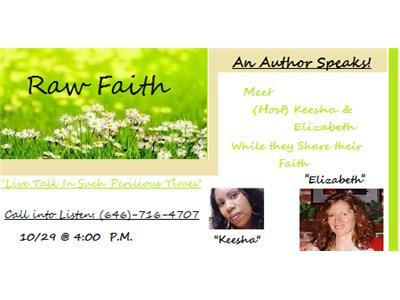 Elizabeth is the Author of Her book called "Hanging on by the Scratch Marks My Nails left behind, Raw Faith." She will be reading from her book and sharing different accounts in which she was faced to live beyond her faith and reach out onto raw faith. Do You have questions about faith ? Or Do you want to understand what is the difference between Faith & Raw Faith? If either one of these questions have you wanting to Learn more about how faith grows over time come, We Invite you to join us in this discussion about living with Raw Faith! We will have a Special Guest ( Ruby Mariea Walker) who will give her testimony "How she's learned to walk bold in her faith!